You simply cannot overstate the benefits of having a ‘regular’ front yard. While concrete and asphalt are great, a grass-covered lawn is a full 30 degrees cooler on hot days, and it is even 15 degrees cooler than bare soil. This alone should make homeowners want a front lawn for their home, but there are also environmental effects that you may not have considered yet. Did you know, for example, grass absorbs carbon dioxide and releases oxygen? This can make life more comfortable for the average family, and it can even serve to ease your conscience as your lawns absorption of carbon dioxide reduces greenhouse gases. Ultimately, you need a front lawn to improve your quality of life, but you also need to make sure that it looks good. In a city like Orlando, where the temperature is always rather high, it can be difficult to achieve this. The number of dying lawns that you will see dotting the area is clear evidence of this fact. Sometimes, the best thing you can do is starting over. This is where sod in Orlando can come in handy. Why Choose Sod in Orlando? If you want to achieve a lawn quickly, sod is the best way to go. You could fertilize your soil and try to repair any environmental damage yourself, to help your grass grow, but it could take years to get a lush green yard, while it takes mere days to lay sod. 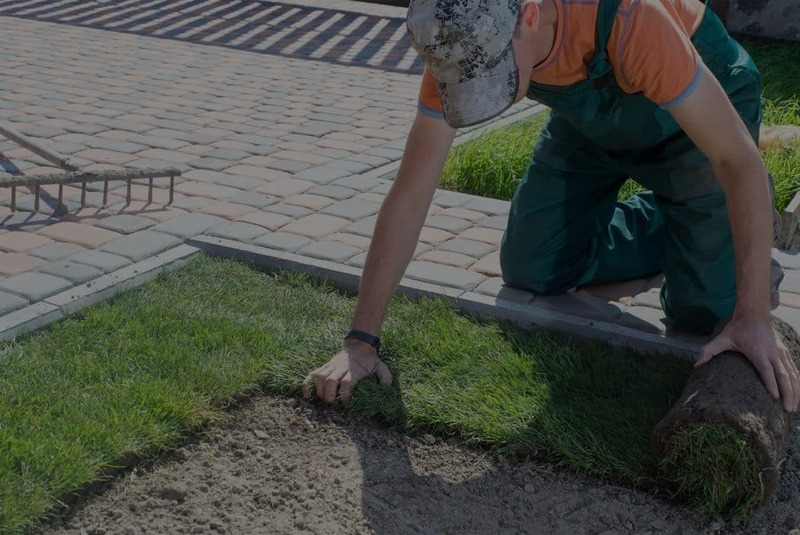 The Orlando sod that you buy from us is grown over a long period of time so that it has already reached maturity before it ever comes to your home. The best part is that once the sod is laid, you can use it in two to three weeks. Sod is a great way to get an instant lawn! Did you know that properly landscaping your lawn can increase your property value by up to 20%? If you ever plan to resell your property or even rent it out, sod can make the situation better and bring you a peace of mind that you never anticipated. Finally, because sod is softer than dirt or concrete, children, pets, and others can play on it without risk of injury. Ultimately, nothing beats grass when it comes to a landscaping layout. The sod that you have installed in your yard here in Orlando is mature on day one, which means it can immediately begin controlling erosion. Additionally, it can be installed on steep hills for the purpose of stabilization. Another great benefit that many people never seem to consider is the noise reduction that a sod lawn can achieve. Hard surfaces, like concrete or even harder soil, allow sound to echo and bounce, which may be irritating even inside your home. A sod lawn’s soft and absorbent texture will not echo those sounds in the same way and can contribute to a more relaxing environment on your property. It’s just one more reason for you to invest in a sod yard right away. 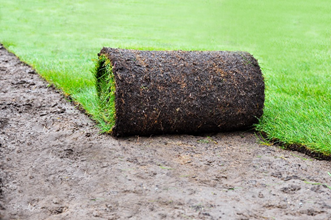 Getting sod installed doesn’t have to be a hassle! All you need to do is call for professional help and make sure you’re getting the right support. As a highly experienced company, we are ready and able to provide you with not only superb installation, but also support after the fact to make sure that your sod lasts for many years to come. Because this is a real grass installation, you must water your sod regularly, and in Florida, this can be a bit of a challenge given the perpetually warm weather and the more than occasional droughts. With the help of our company, you can get that perfect, lush green lawn that you have been looking for and most importantly, you can improve your quality of life. Check out what we have to offer, from sod to advice, all the way to irrigation repair services by industry experts, all of which have more than three months of field experience.